The CBDistillery is proud to present one of their newest offerings to our customers. Their 80% Broad Spectrum CBDab Wax is a wonderful mix of CBD and CBG—a true profile of our high-quality hemp. It’s pure and natural for all your CBD needs. 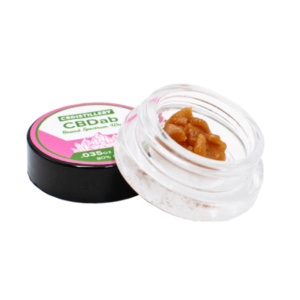 CBD wax is one of the most common forms for dabbing. It provides an easy to handle product that once inhaled, acts quickly .